What is the secret to vibrant health and healing? For hundreds of years man has sought the answer to this question. What if the answer is that what we have defined as illness, is actually a symptom of a deeper core issue within our consciousness that is seeking to be resolved. With awareness of the mind, body, and spirit connection becoming more and more mainstream and acceptable within the ... See More general populous, there are now medical doctors who view illness from a unique, spiritual, and conscious perspective. These new points of view have guided some in modern medicine to reach outside of the box of conventional protocols and explore new multi-dimensional approaches that create healing, health, and freedom from chronic disease. 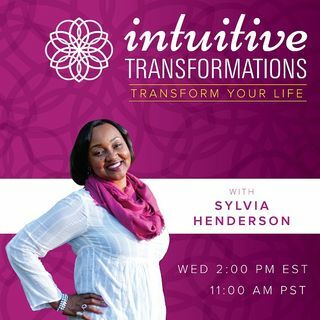 Join Sylvia for a lively conversation with her guest Dr. Nauman Naeem, a medical physician specializing in pulmonary and critical care, who offers a holistic multi-dimensional approach to healing in his new book, Healing From The Inside Out: Overcome Chronic Disease and Radically Change Your Life. Dr. Nauman Naeem is a pulmonary and critical care specialist who has been interested in human behavior and how to achieve our highest potential since his adolescent years. His intellectual curiosity and drive motivated him to become a pulmonary and critical care physician. During the course of his career, which has spanned two countries and has involved caring for tens of thousands of chronically and critically ill patients, he noticed that the majority of patients do not heal and remain trapped in the paradigm of chronic disease. This motivated him to dive deeper into the roots of true healing through studying ancient healing traditions, the psychology of healing, consciousness and metaphysics which culminated in the writing of his book, Healing From The Inside Out: Overcome Chronic Disease and Radically Change Your Life. Dr. Nauman Naeem continues his medical practice in Ontario, Canada with the goal of bridging conventional medicine with a more holistic multi-dimensional approach to healing.